Nursing jobs are in very high demand and many registered nurse jobs are available for RNs. The job search for registered nursing is easier than any other profession because more jobs are available. Nursing is one of the most rapidly growing professions and has been for a long time. The demand for nurses continues to grow and will continue for the years ahead. Before a nurse applies for a job, he or she must have their nursing portfolio and resume completed. Employers use these tools to select the right person for the job. This page will include some information in nursing jobs and specialties. For more information, please visit our Nursing Job Resources section. There is always a nursing shortage but in the next upcoming years the nursing shortage is expected to be greater than ever. According to the US Labor Department, in the years between 2008-2018 the nursing field is expected to need about 582,000 more positions, which is more than any other professional field. One of the many reasons for this is due to the fact that the intensity of nursing care is expected to increase which means more nurses are needed for patients. Nursing salaries are also competitive, so it pays to be a nurse! Registered Nurses have many types of job opportunities. Nurses are not just limited to bedside nursing but can usually find jobs in places other than hospitals. Nurses are also in demand at schools, clinics, physicians offices, jails, home health agencies, travelling agencies, consultation offices, and outpatient facilities. Therefore, an RN is not limited to working in a hospital. This is one of the reasons why becoming an registered nurses is so appealing. The job opportunities are endless along with the types of nursing specialties a nurse can choose to go into. Search for jobs using the job search tool in our sidebar, powered by Indeed. Nurses also have a wide variety of specialities they can enter. A nursing speciality is a field of nursing that specializes in a certain medical area. For example, there are nurses who specialize in cardiac nursing. 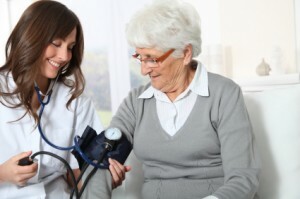 These nurses are very knowledgeable about how to take care of patients who have heart diseases such as congestive heart failure, coronary artery disease, arrhythmias etc. Neonatal Nurse | What is a Neonatal Nurse? Public Health Nurse | What is Public Health Nursing? Oncology Nurse | What is Oncology Nursing? Camp Nurse | What is Camp Nursing? On the other hand, there are nurses who specialize in forensic nursing. These nurses are experts in taking care of patients who have been sexually assaulted etc. Many nurses who enter into a certain job speciality go on and receive certification for their speciality. This in turn leads to a higher nursing salary.